It is amazing to think that today is September 9th and for the third day in a row the temperature was in the 90s. After a powerful cold front and a big blow we saw the temperatures skyrocket throughout the week, moving water temps from the 65 to the 75 range by the late afternoons, and moving fish around as well. 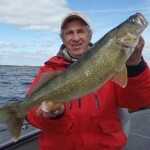 Before the front came we saw an improvement in the walleye bite. Both volume and size increased and the boys had a couple of very good days up in the west end of the lake. After the front blew through there was a tough bite for a day or two and then things began to level out. With the exception of the giant walleye scattering and playing a disappearing act for a couple days, it has been a good week of fishing up here. 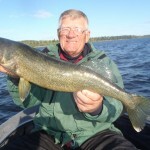 For the week we had 10 walleyes over 27 inches. Most of them came up before the cold front moved in. Only today did we finally see some larger fish returning to out spots, with a number of 26s and a 27 caught out of the 30 foot range. 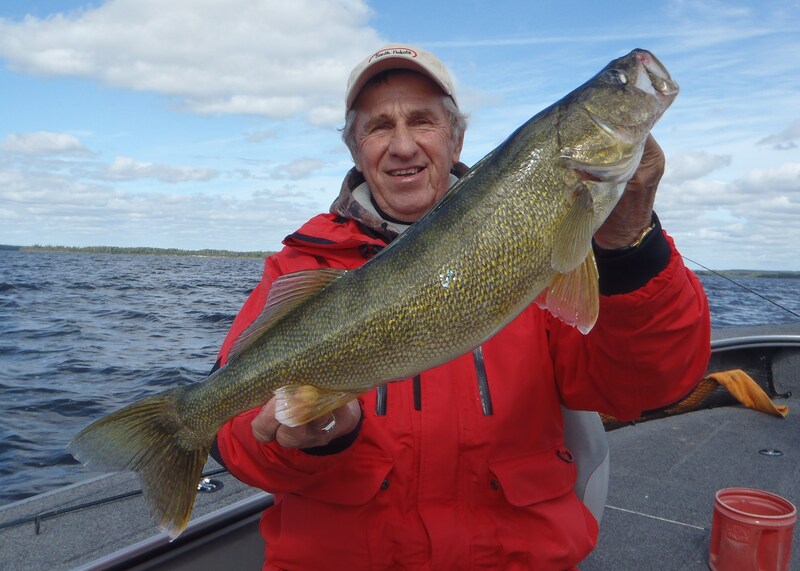 For the most part, the walleye bite has been steady off both the big sand structures and off the deep rock, and we saw our volume increased substantially this week. 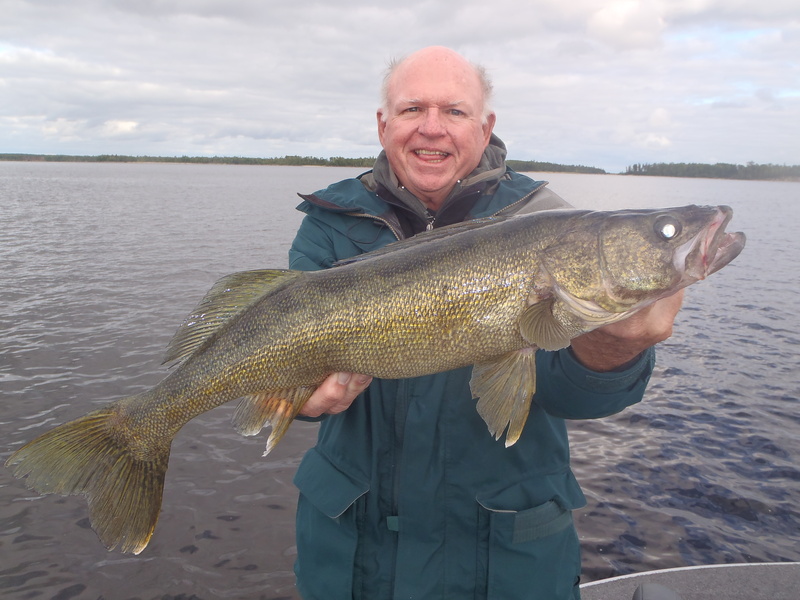 The daily guide sheets averaged around 35 walleyes per day, and a few days the guys managed to fill the back of their sheets (60 fish over 18 inches!). 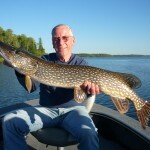 The highest volume day produced 82 fish over 18 inches, which is as good as you can get – whether it be the early spring or mid-summer bite. Averaged depths remained steady around 30 ft. but we are seeing a trend towards fish feeding in the 20-25 foot range as well. In general the most success was seen fishing localized pods of fish with a jig and minnow, and less production came by moving fast with gulp. 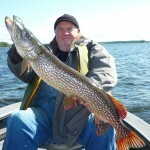 The pike fishing has also been great. 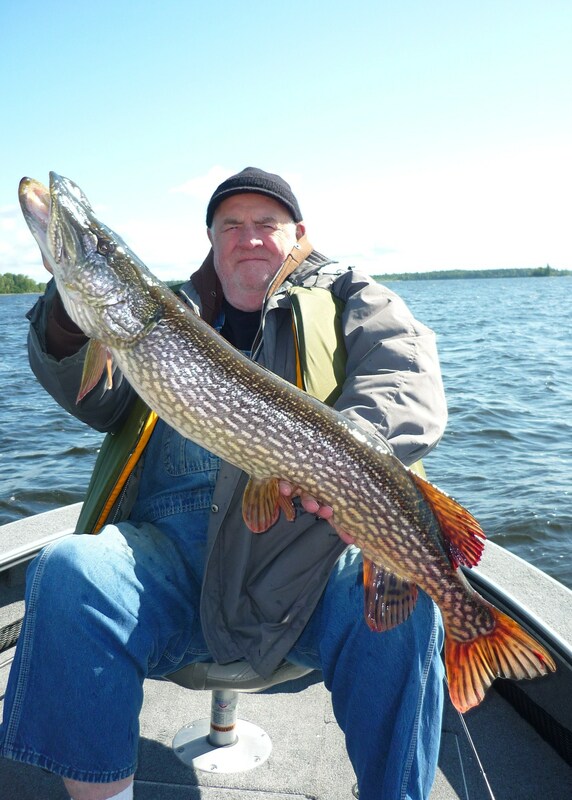 We saw 10 pike over 37 inches this week, with 3-38s, 1-39, 1-40, and 1-41. 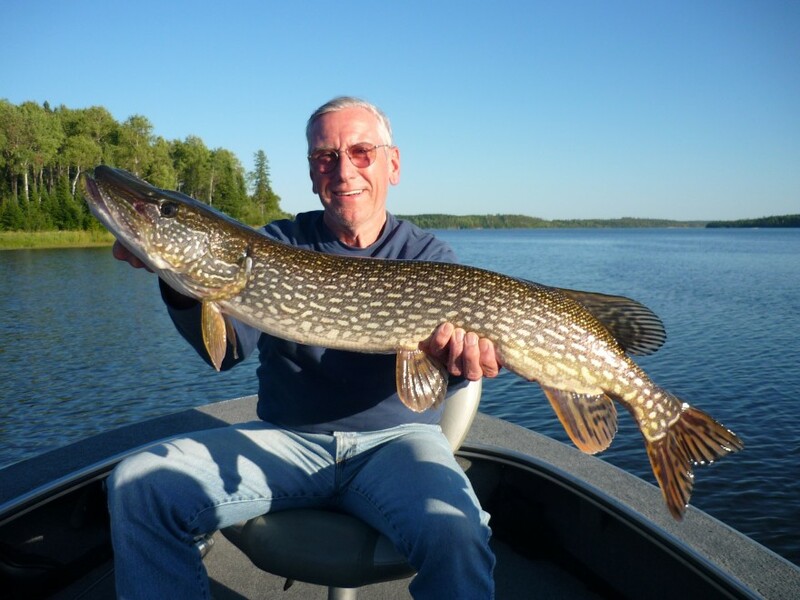 The warm weather has put a stall on the giant fall pike moving into their typical spots, but we are managing to keep up our numbers up by targeting main lake points that have both rock and weeds, and other suitable structure that is adjacent to deep water. We are also targeting existing primary weed-beds that remain intact, and usually manage to produce plenty of action as well as decent fish in the 30 -35 inch rage consistently. 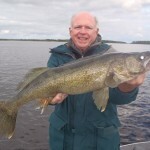 But again, we are all still holding our breath for the next turn in weather, and anticipating the arrival of the true Lac Seul giants to come roaming in for the fall feed. 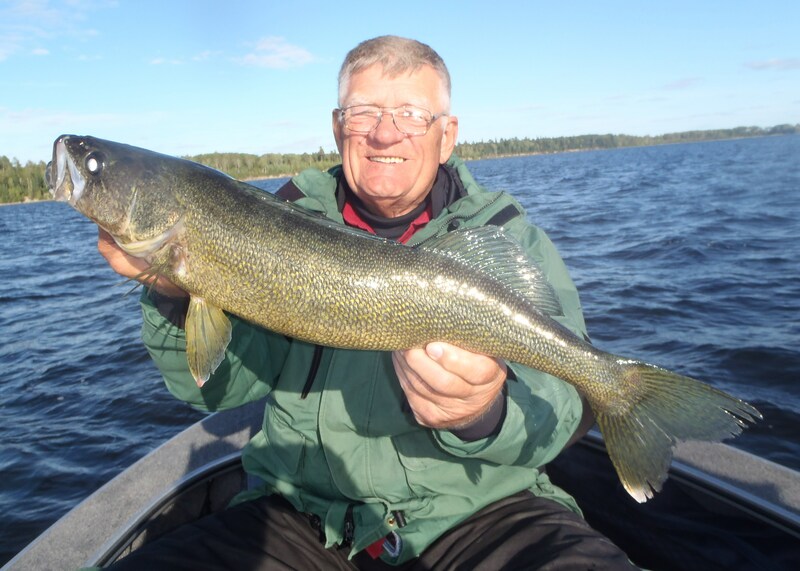 From a personal note, I feel as confused as some of those big walleye must feel with these extended summer conditions in the place of what is usually our most temperamental season. It was clear that fall went on pause this week, even the trees lost their momentum in changing colour. I saw fish surfacing and jumping all day today, basking on top in the sun. I saw an eagle grab one right off the top, and I was reminded what an incredible wilderness we have up here, what an amazing fishery we are fishing on, and what a great job guiding is (especially when the weather is like this!). That’s all for this week folks. Hope the week is treating you well and look forward to seeing you soon!